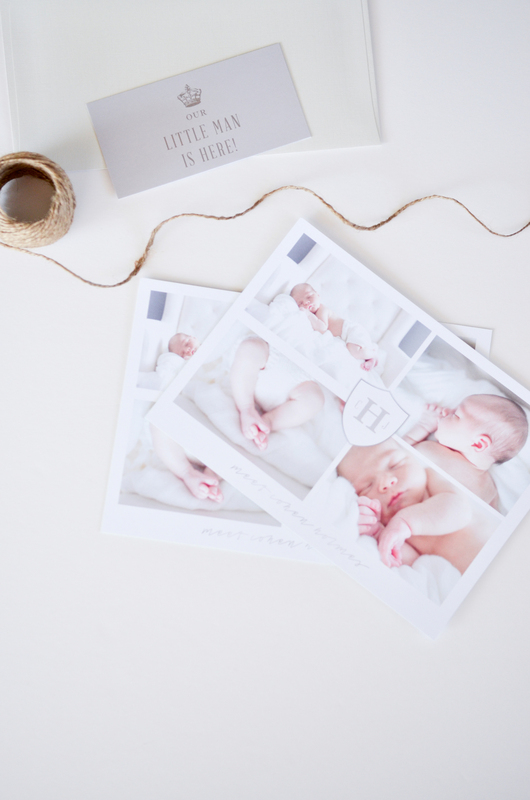 It’s always a challenge to design for yourself and for your family, but luckily, with the gorgeous newborn photos from the super talented ely fair, this design focused on the images of our sweet boy! I wanted to keep his announcements very simple and traditional. The front features a custom crest with his initials and serves as Cohen’s personal logo. A vintage trumpet illustration is depicted on the back, joyfully announcing Cohen to his friends and family! 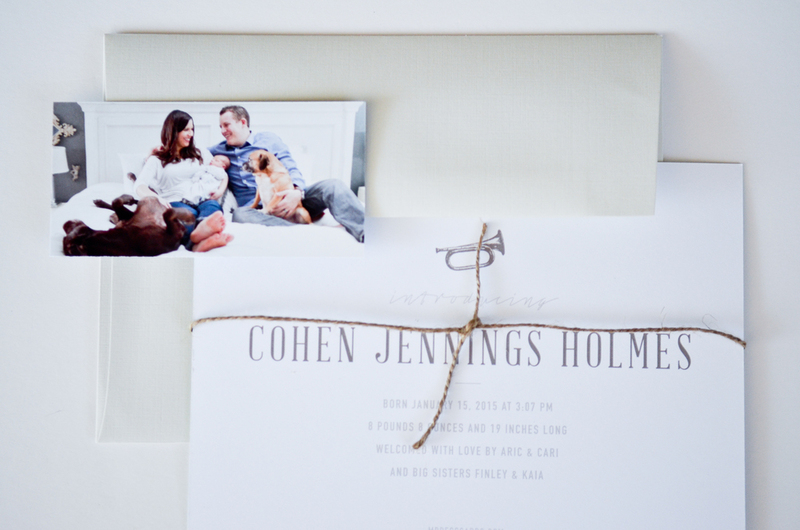 Printed on triple layer paper with a silky finish, the announcements were tied together with jute twine around a light gray belly band. 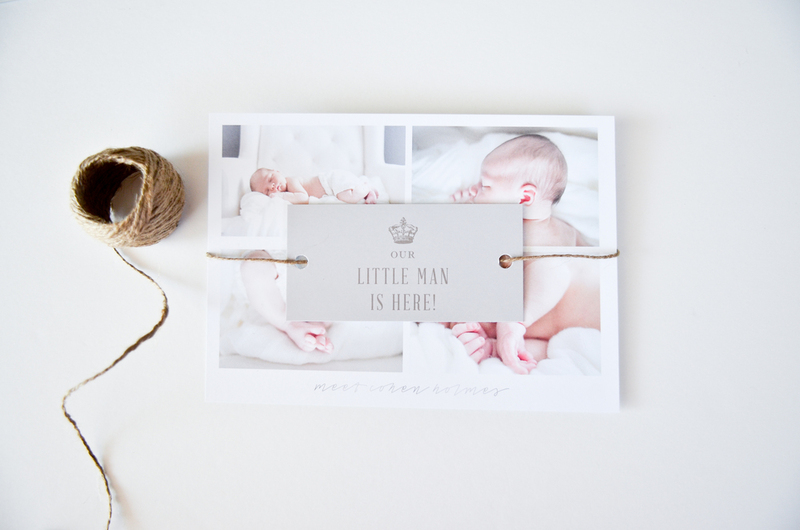 Sealed in a gray linen envelope with a velvety surface, these were the perfect way to introduce our sweet Cohen Jennings!